To make storage like water, that can be managed just as easy as twisting the faucet, safe and constant and high cost performance, we have developed next generation Software-Defined Storage (SDS) from ground up. 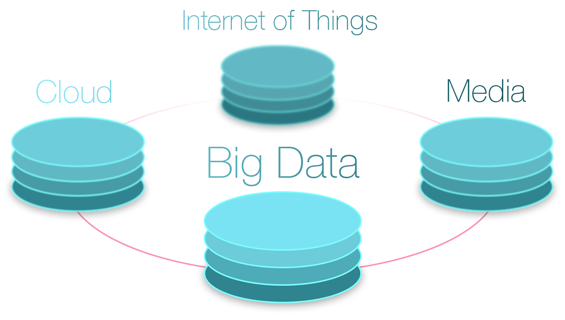 Office data, media contents, sensor data, the data we face today is bigger than ever. Our motivation is to provide the cutting edge solution for the complex data management using the power of the newest technology. Creating a storage by a software that brings highest availability, redundancy, and security with outstanding performance and low cost is our primary objective. In the past years, with the accelerated expansion of big data and cloud computing, demand for more powerful, scalable and flexible storage solution has never been stronger. These demands are something we must fulfill but at the same time, it means there will come more innovative products and services we could ever imagined by using those data efficiently. Bringing revolution to the storage, which is the very core of the IT, to make it possible to use the data more freely, quickly and safely to push innovation of technology and the improvement of society. We believe our product is not only the cutting edge, but one of the most sophisticated solution that you can get when it comes to data management. At IzumoBASE, starting with Dr. Arakawa, recognized as a “genius” by the Information Technology Promotion Agency of Japan, our team members are full of award winners on many different programming contest. The hardware and software we use are fully optimized for each individuals so they can perform at their very best condition and proactive motivation. Because we think if we were to create the next generation product, our work style has to be progressive as it can get.